We'll be taking a week off or so to enjoy the summer weather. Thanks for your support - we now have over 600 RSS subscribers, 400+ fans on Facebook, and almost 300 followers on Twitter. 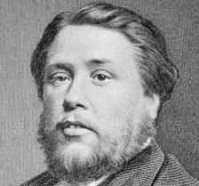 We so appreciate your recommending us to your friends who are inspired by Spurgeon.